Gregg Stafford (left) before the Black Men of Labor second line parade in September 2006. Gregg Stafford is one of the leading traditionalists in early jazz and brass band music. He began playing trumpet in Danny Barker’s youth group, the Fairview Baptist Church Brass Band, and and followed through with the Hurricane Brass Band. He was also a public school teacher for many years. Gregg now leads the Young Tuxedo Brass Band, as well his own jazz band the Jazz Hounds, and has been the lead trumpeter and vocalist in Dr. Michael White‘s Liberty Band for some time. Gregg is also a founding member of the Black Men of Labor Social Aid & Pleasure Club, which he started after directing the music in Danny Barker’s jazz funeral in 1993. 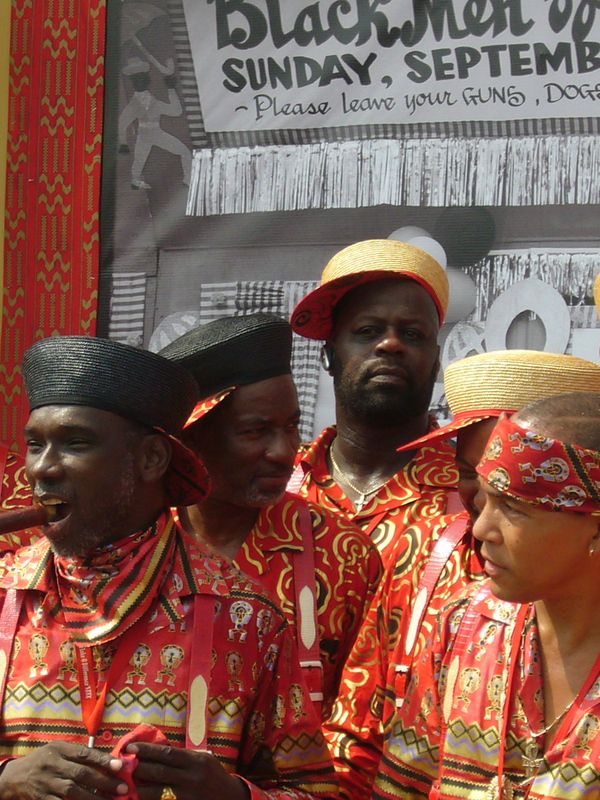 Black Men of Labor is an explicitly traditionalist parade, and musicians wear the traditional uniform and play standard repertoire at relaxed tempos. I am a jazz writer from The Netherlands, planning to do a series of articles and radio shows on (the history of) New Orleans brass bands. I will be in NOLA during the second part of the Jazzfest, and will stay until May 13. Do you think it is possible to arrange an interview?